As the President of the New York County Medical Society for the year ending June 30, 2016, it is my pleasure to report that the year was a productive and positive year for the Society. On the financial level we had a positive cash flow as compared to a negative cash flow in the prior year. This has been due to expansion of our relationship with outside vendors, our continuing CME arrangement with Touro College of Osteopathic Medicine, cost containment and improvement in membership revenue. 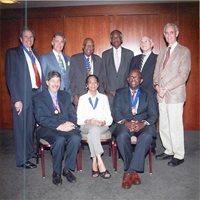 Doctor Malcolm Reid, a past president of our Society, was elected the President of the Medical Society of the State of New York (MSSNY) in April 2016. We are proud of his work for MSSNY, and his ongoing activity as an active member of the leadership of our society. In the past year, the New York County Medical Society has fostered a stronger relationship with the leadership of the other four counties of New York City. CME activities from each county are open to all of the counties of New York City on the same basis as the local county members. When Emblem Health “de–listed” almost 800 physicians from its panel, the New York County Medical Society and the counties of Bronx, Kings, Richmond, and Queens jointly mobilized on behalf of our members and coordinated our activities with MSSNY. This has resulted in attracting attention to Emblem’s action and stirred the interest of the legislators to propose legislation. We have continued to have a shared legislative meeting in partnership with the New York County Psychiatric Society. The 2016 meeting attracted many important members of our legislative community including Assemblymember Richard Gottfried, Assemblymember Linda Rosenthal, Manhattan Borough President Gale Brewer, State Senator Liz Kreuger, and City Councilman Mathieu Eugene. On the legislative front and despite strong odds against us, we saw some very strong successes on the legislative front. Despite limited resources, we were able to prevent a bill that would have extended the statute of limitation from the date of occurrence to date of discovery. It was predicted that had this bill passed, all medical liability premiums would have risen about 20 percent. We also were successful in preventing expansion of scope of practice expansion by non– physicians and defeated the bills allowing the corporate ownership of retail clinics. Unfortunately, our lobbying efforts are totally funded by fewer than five percent of all practicing physicians. It is one of our goals to increase participation in the MSSNY PAC. If every practicing physician in New York contributed even $100 to the MSSNY PAC, the lobbying power of the Medical Society to advocate for our members would radically improve. The Society has also been involved in CME and health care education regarding the changes to ICD–10, MIPS, and MACRA. As a member, you have seen a number of issues of our e–zine devoted to these important medical economic topics. Members can receive access to a number of step–by–step aids to take care of this process. Keep watching for updated information in 2017, or contact Susan Tucker at (212) 684–4681, for the latest guides. Retail Clinics are still in the news, and a potential problem for doctors in private practice around Manhattan. Last summer, I was a panelist at the Crain’s New York Healthcare Summit, where I advocated for practicing physicians and the effects of these clinics on doctor/patient relationships and continuing care. However, the most important thing to remember about the past year is that your Society represents physicians in all practice modalities, whether you are practice in a University–Based System, are Hospital Employed, in Group Practice, have a Small and Independent Practice, or work in Industry. It is the New York County Medical Society’s continuing goal to actively represent the physician community on issues that affect all physicians and the specific needs of our different demographic groups. 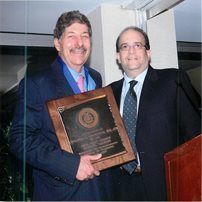 The Leadership, Board of Directors, and the Board of Trustees of the New York County Medical Society will continue to serve the needs of the physician community of Manhattan by advancing the needs of our members, improving the practice climate in New York, advocating for our patients and improving the benefits of membership. We appreciate your support, welcome your participating, need your feedback and will continue to grow our membership. We expect in the coming year to build on our past successes. Presenting the Nicholas Romayne, MD Award at 2016 Annual Meeting: William B. Rosenblatt, MD and Michael Goldstein, MD, JD. President Michael Goldstein, MD, JD, and President–Elect Scot B. Glasberg, MD, at the Society’s Annual Meeting, June 2016. The Presidents, 2016 Annual Meeting of the New York County Medical Society: Back row, left to right: William B. Rosenblatt, MD; Charles Rothberg, MD, President–Elect, MSSNY; Milton Haynes, MD; and Anthony A. Clemendor, MD. 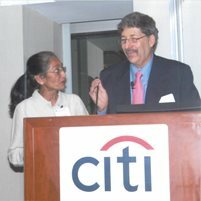 Front row, left to right: Michael G. Goldstein, MD, JD; Sudha P. Patel, MD; Malcolm D. Reid, MD, MPP, President, MSSNY; and Eugene E. Weise, MD. Figures reflect membership as of December 31, 2016. The Medical Society of the State of New York announces a series of three one–hour CME webinars on pain management, palliative care and addiction. New York State statute now requires all prescribers holding a DEA license to complete three hours of course work no later than July 1, 2017. The Medical Society of the State of New York has worked with the New York State Office for Alcoholism and Substance Abuse Services in the development of this program.Following the webinars, the course will be offered on–line on the MSSNY CME site. The three webinars cover all issues required in the New York State statute and participation is only by computer, or with the Webex app. Webinar 3: Tuesday, March 21, 2017—7:30-8:30am Patients with Opioid Use Disorders: Identification, Treatment, and Management of Co-occurring Pain (click to register) Faculty: Jeffrey Selzer, MD, Charles Morgan, MD & Frank Dowling, MD Educational Objectives: Describe the Potential for Addiction, Patient Screening, Diagnosis and Subsequent Treatment or Referral. Recommend Tools to Assist in the Identification of High-Risk Patients for Whom Opioids are Indicated and Prescribed. Because lobbying is not tax deductible as a business expense, physicians cannot deduct their total association dues from their income taxes. This year for 2016 taxes, 40 percent of the Medical Society of the State of New York dues, and ten percent of Society dues are not deductible. Donations to MSSNYPAC are not deductible at all, although they are essential to the continued success of physicians to protect their patients and profession in the political process. If you are including a MSSNYPAC contribution with your MSSNY dues, no portion of that membership is deductible. The following is from the Centers for Medicare & Medicaid Services. The U.S. Department of Health and Human Services (HHS) Office of Inspector General (OIG) recently confirmed that the HHS OIG Hotline telephone number is being used as part of a telephone spoofing scam targeting individuals throughout the country. These scammers represent themselves as HHS OIG Hotline employees and can alter the appearance of the caller ID to make it seem as if the call is coming from the HHS OIG Hotline (800) HHS–TIPS ((800) 447–8477). The perpetrator may use various tactics to obtain or verify the victim’s personal information, which can then be used to steal money from an individual’s bank account or for other fraudulent activity. HHS OIG takes this matter seriously. We are actively investigating this matter and intend to have the perpetrators prosecuted. It is important to know that HHS OIG will not use the HHS OIG Hotline telephone number to make outgoing calls and individuals should not answer calls from HHS OIG Hotline (800) HHS–TIPS ((800) 447–8477). We encourage the public to remain vigilant, protect their personal information, and guard against providing personal information during calls that purport to be from the HHS OIG Hotline telephone number. More information is available on the OIG Consumer Alerts webpage. The next meetings of the Board are April 17, 2017 and May 22, 2017. Doctors from the Society spent time discussing legislative concerns with each other and legislative representatives, including Assemblymember Richard Gottfried, Chair of the Assembly Health Committee. Below is Doctor Michael Goldstein, Society President and co–moderator of the January 29, 2017 event. • How to Determine if Your Practice is Exempt from MIPS: One of the chief exemption categories in the Merit Based Incentive Payment System (MIPS), which began on January 1, 2017, impacts physicians who have less than $30,000.00 in approved amounts for Medicare patients treated in a year or those who treat 100 or fewer Medicare Part B patients. If your practice meets these criteria, this would allow you to avoid the four percent penalty in the Medicare 2019 Part B Physician Fee Schedule payments as you would be considered exempt from the MIPS program. The Centers for Medicare and Medicaid Services (CMS) had said that letters would be sent out in December 2016 telling those physicians who met these criteria that they were exempt. This, unfortunately, did not happen. However, CMS will provide a tool to let you determine if your practice is below the low volume thresholds noted above and are, therefore, excluded from MIPS in 2017. This NPI level “Lookup Tool” will be available on the Quality Payment Program (QPP) website at the link here: https://qpp.cms.gov/. CMS has promised that this feature would be made available shortly so physicians who think they meet these exemption criteria are urged to check this site on a regular basis to see when the tool is posted. In addition, CMS stated that letters to this effect will also be sent out starting in March 2017. For guidance on this issue, contact us through the Third–Party Insurance Help Program. • ALERT — MFCU Issuing Audit & Refund Demand Letters Related to Medicaid Billing Services and Percentage Based Payment Arrangements: It has been reported by the State Medical Society that several physicians in New York have received letters from the Medicaid Fraud Control Unit (MFCU) of the NYS Attorney General’s Office. These letters are the result of investigations conducted by MFCU concerning billing agents (and the physicians that utilize their services). These impacted physicians are being asked to refund money based on MFCU’s decision of fraudulent billing stemming from contracts that are perceived to be allowing fee splitting. MFCU points out that billing services that charge medical professionals a percentage of costs for claims submitted is in violation of Medicaid rules and NYS Education Law. You are urged to immediately review you billing vendor service contracts if you have one based on percentage payments. Should your agreement with the Billing Service allow for this type of percentage billing, it is urged that you amend the fees you pay your biller for Medicaid claim submissions to either payment based on time or a flat fee for claims submitted. The following is a reminder from Medicaid that was released in 2001 outlining the specifics. MSSNY has been in contact with the Attorney General in order to help its members. The Society has already submitted a resolution to the 2017 meeting of the MSSNY House of Delegates outlining efforts it believes are necessary to solve this issue. For guidance on this issue, contact us through the Third–Party Insurance Help Program. Section 18 NYCRR 360–7.5 (c) of the Department's regulations states that a provider may employ a business agent such as a billing service or an accounting firm. Agents may prepare and send bills and receive Medicaid payments made out in the name of the provider. However, it may do so only if compensation paid to the agent is: (1) reasonably related to the cost of the services; (2) unrelated, directly or indirectly, to the dollar amounts billed and collected; and (3) not dependent on actual collection of payment. Section 18 NYCRR 504.9 reiterates these rules and expands their coverage to those who verify client eligibility or obtain service authorization on behalf of a provider. Billing agents are prohibited from charging Medicaid providers a percentage of the amount claimed or collected. In addition, such payment arrangements, when entered into by a physician, may violate the Education Law and State Education Department's regulations on unlawful fee–splitting. In recent months, the Medicaid program has been made aware of violation of the regulations concerning the permissible payment arrangement with business agents. Although we understand that these practices are very common when it comes to billing other third–party health insurance programs, including the Medicare program, it is not an acceptable arrangement under the Medicaid program. Please assure that your payment arrangements are in compliance with the regulations. If your billing agent is charging you fees that are contrary to the official rules and regulations of the Department, you may be required to refund the resulting Medicaid payments made to you. Section 18 NYCRR 504.1(b) of the Department's regulations defines who must enroll in the Medicaid program. Billing agents are required to be enrolled in the Medicaid program. To obtain an application for enrollment, please contact the Bureau of Enrollment at (518) 486–9440. If you have any questions regarding the regulation regarding fees charged by your agent, please contact Ms. Janice Feaster, Bureau of Enrollment, at (518) 474–9238. NGS CONNEX Users: NGSConnex to Require Multifactor Authentication: To enhance the security of Medicare data, NGS Medicare will be implementing Multifactor authentication (MFA) for all NGSConnex users soon. Below is some important information to assist you in preparing for the upcoming change. What is MFA? MFA is the use of two or more different authentication factors to verify the identity of a user. When you login to NGSConnex the first authentication factor you use to verify your identity is your USER ID and password. MFA will require a second, separate authentication method. How will I obtain a MFA passcode? Users will be required to establish a daily MFA passcode that will expire each day at 11:59 p.m. ET. The delivery method to receive the MFA passcode is via email. NGSConnex will utilize your email address associated with your User Profile to send the daily MFA passcode each day once generated. What can you do now to prepare for MFA? At this time, they are asking providers to login to NGSConnex and verify the email address associated with your User Profile to ensure you are prepared once MFA is implemented. You need to make sure the email address is unique to you, an email address that you have access to so that you can receive your MFA code daily. Watch this three–minute video below to learn about how to use MFA coming to NGSConnex. http://tinyurl.com/h5xusv8 NGS will be providing additional education and detailed instructions related to MFA soon as it moves closer to the implementation of required MFA. • Moderate Sedation National Correct Coding Issue: Beginning January 1, 2017, moderate sedation for a procedure that the practitioner performs may be reported with CPT codes 99151–99153. Medicare been advised by the NCCI contractor of an error with the edit table in which these codes were incorrectly bundled into seventeen global surgical procedures and sixteen Category III codes. These edits do not allow bypass with NCCI–associated modifiers (modifier indicator of “0”). These errors will be corrected in the April 1, 2017 NCCI updates. NCCI recommends providers delaying submission of claims for CPT codes 99151–99153 when performed with one of the listed surgical or Category III codes until the new versions of NCCI PTP edits are implemented April 1, 2017. Claims submitted prior to the correction in April 2017 will be denied. The denial may be appealed on or after April 1, 2017. • Ordering/Prescribing/Referring Providers Must Revalidate for Claims to be Paid: Federal regulation requires State Medicaid agencies to revalidate the enrollment of all providers every five years. For many providers, Medicaid payment is contingent on the ordering/ prescribing/ referring (OPR) provider also revalidating his/her enrollment in Medicaid. OPR providers who do not comply with the revalidation requirement will be terminated from the Medicaid Program. The Department of Health has determined that many providers are at risk for not being paid for their services because the OPR provider has not complied with the revalidation requirement. Because this has the potential to result in significant non–payable claims for you/your facility, we urge you to reach out and encourage your OPR providers to revalidate their enrollment. Please remember to confirm that your OPR provider is enrolled before rendering service at: www.emedny.org/info/opra.aspx. The Claim Adjustment Reason Code for non-enrolled OPR provider on your remittance will be: B7 — This Provider was Not Certified/Eligible to be Paid For this Procedure/Service on this Date of Service. The required revalidation form and instructions are available at https://www.emedny.org/info/ProviderEnrollment/index.aspx. The completed form must be mailed, with all required documentation and fee (if required), to the address provided on page 2 of the form. Questions should be addressed to the eMedNY Call Center at (800) 343–9000, Option 2. • AAO Posts Ophthalmology Specific 2017 Measures for Merit–Based Incentive Payment System: The American Academy of Ophthalmology (AAO) has posted the Ophthalmology specific 2017 Quality Measure codes for use under the MIPS Program. To view these measures, click on the link here. The following 16 candidates for membership are presented to the Board of Directors of the Society. Anyone with information reflecting against election of a new member is requested to notify the secretary of the Society as soon as possible. The following letter is from Robert A. Menotti, MD, President, MLMIC. 1. In accordance with NYIL §7307, MLMIC is being examined by the NYS Department of Financial Services (DFS) to assess the financial condition of the Company. That examination is expected to be completed during the second quarter of 2017. 2. In accordance with NYIL §7307, the DFS will also conduct an independent valuation of the Company to assess the fairness of the cash consideration to be paid by Berkshire to owners of eligible MLMIC policies from July 14, 2013 through July 14, 2016. This valuation is expected to be completed during the third quarter of 2017. 3. In accordance with NYIL §7307, once the examination and independent valuation are done, MLMIC’s Board will request permission from the Superintendent to submit a Plan of Conversion for approval by DFS. MLMIC will then prepare and disseminate detailed information regarding the Plan of Conversion to all of those who are eligible to vote (i.e. those who were policyholders on July 14, 2016) on this transaction. The Superintendent will then hold a public hearing regarding the Plan of Conversion. Following this hearing, the Superintendent will review the Plan of Conversion, and if approved, will authorize MLMIC to conduct a vote. 4. In accordance with NYIL §7307, we expect to hold a vote of those eligible to vote on this transaction during the fourth quarter of 2017. If two–thirds or more of those voting elect to proceed with the transaction, the transaction will close and Berkshire will authorize distribution of payments shortly thereafter. As we progress forward and achieve these milestones, we will provide an update via MSSNY E–News, and on MLMIC’s blog and the “Frequently Asked Questions” webpage. If you have any questions about the transaction, please call (888) 998–7871. Several members who participated in surveys this winter won just by sharing an opinion. Thanks to everyone who participated. So far, David Neuman, MD will be receiving a new website, and Nancy Mellow, MD, Anthony Alastra, MD, Harvey Goldberg, MD, Alexandra Carrer, MD, and Jeffrey Schwartz, MD, have Starbucks gift cards, just for answering Society surveys on practice marketing goals and financial planning interests. Look for continuing chances to share your opinion and be rewarded. — April 17, 2017, Board of Directors/Delegation, at the offices of MLMIC, 5:30 p.m.
A Contemporary Paradigm in Nutrition, 6:00 p.m. to 8:00 p.m. at the Touro College of Osteopathic Medicine, 230 West 125 Street. Register by calling (2120 684–4698. In its continuing effort to introduce members to services that will help their practice thrive, the New York County Medical Society is pleased to announce the addition of a key Business Partner to help your practice succeed in these challenging times. Practice Builders has been helping health care practices achieve growth and success through effective solutions since 1979. The largest think tank of its kind in North America, Practice Builders has consulted with more than 15,000 practices in nearly every area of health care. — Reputation assessment, search engine assessment, social media assessment and mystery shopper call. Practice Builders has services that are designed specifically to help busy Society physicians like you attract the patients, cases, and payers you prefer, while increasing referrals and protecting your professional reputation online. No matter what size or type of practice you have, you can get the help you need to make it better. For more information on your membership privileges with Practice Builders, call them at (800) 679–1200, select option 2, and tell them you are a New York County Medical Society member. While employers across the United States face a multitude of challenges — attracting talent, mitigating risk and increasing profitability, just to name a few — one area consistently rises to the top of business owners’ priority lists: employee retention. A recent poll by Human Resource Executive Online found that respondents ranked employee retention as one of the top three HR challenges employers face today. And this is unsurprising, considering the cost of employee turnover. According to a study by PricewaterhouseCoopers (PwC), turnover–related costs can represent more than 12 percent of an average company’s pre–tax income. This significant financial cost, not to mention the time and energy associated with finding the right talent to fill the position, can place a heavy burden on already strained businesses. In an era when U.S. companies are under increased financial and regulatory pressures, it has become critical to develop a team of loyal employees dedicated to long–term future growth. Below are three ways to cultivate a positive corporate culture that will help to increase employee satisfaction, engagement and motivation. The first step toward retaining employees through a positive and engaging company culture may seem obvious, but is often overlooked: Define your company culture in clear terms and communicate it to your workforce effectively. Company culture can encompass the organization’s values, future vision, beliefs, mission, in–office norms and general atmosphere. It can help to create an environment of respect, trust, innovation and purpose to motivate employees and improve workplace productivity. While culture is often defined by an organization’s senior leaders and management team, it can help to have employees submit suggestions to include staff in the process, respond to their feedback and increase overall engagement. Once an organization’s culture has been defined in writing and agreed upon, it can be distributed to employees via e–mail, staff meetings and office–wide flyers. Companies also can incorporate culture directly into employee performance; for example, if an employee can demonstrate three ways he adhered to one of the company’s core values while interacting with a client or customer, the employee may receive an additional bonus or other incentive at his next performance review. Hosting events outside of the office is another way to reinforce company culture; for example, if “giving back” is a key value of the organization, plan a service–oriented event during one weekday each quarter or year to encourage positive, out-of-office interaction. Companies also can choose to share various aspects of their culture with clients, customers and the general public. Publishing the company’s values or purpose on its website, flyers or other sales collateral can help to establish a unique identity and brand for the company, making it more easily recognizable in its market. Collecting, listening to and actively engaging with employee feedback has become a critical step to solidifying a positive and motivating workplace culture. The SHRM survey cited above found that only 23 percent of respondents were “very satisfied” with the level of communication between employees and senior management at their current workplace. Conducting employee interviews and surveys on a fairly regular basis not only provides critical insight to the attitudes and feelings of the current workforce, but also sends the message that the employer is listening and genuinely interested in employees’ thoughts and overall happiness. A positive company culture has become a high priority for individuals in the workforce. On the other hand, culture also can help employers define workplace standards, motivate employees and increase engagement to improve satisfaction and retention rates. Congratulations to Society member James Braun, DO, who received the Laubenstein Award at the New York State Department of Health World AIDS Day event on December 6. Doctor Braun is the founder and program director of Physician’s Research Network (PRN), an educational and peer–support group for health care providers working with the HIV/AIDS community, as well as practicing at the Callen–Lorde Community Health Center. The Laubenstein Award recognizes physicians who “in addition to providing the highest quality of clinical care for people with HIV/AIDS, are also distinguished by their compassionate manner and their wholehearted involvement in the ongoing effort to provide comprehensive care for persons with HIV/AIDS.” Doctor Braun is Co–Vice Chair of the MSSNY Infectious Disease Committee, and a graduate of the University of Health Sciences, Colleges of Osteopathic Medicine, Kansas City. He is board certified in Family Medicine. Melvin H. Becker, MD, died December 14, 2016. Doctor Becker received his MD degree from Washington University School of Medicine in 1950. He was a past member of the Board of Directors of the New York County Medical Society. Thomas Doyle, MD, died February 10, 2016. Doctor Doyle received his MD degree from Cornell University School of Medicine in 1949. John Rupert Edsall, MD, died July 2, 2016. Doctor Edsall received his MD degree from University of Cambridge College of Medicine in 1949. Kasriel K. Eilender, MD, died January 24, 2017. Doctor Eilender received his MD degree from Ludwig–Maximilians University, Bavaria in 1956. Maxim Koslow, MD, died January 24, 2017. Doctor Koslow received his MD degree from Howard University College of Medicine in 1969. Pablo A. Morales, MD, died August 12, 2016. Doctor Morales received his MD degree from University of the Philippines in 1941. William J. Schneider, MD, died August 11, 2016. Doctor Schneider received his MD degree from Columbia University College of Physicians and Surgeons in 1963. He was a past member of the Board of Directors of the New York County Medical Society., died July 2, 2016. Doctor Edsall received his MD degree from University of Cambridge College of Medicine in 1949. William J. Schneider, MD, died August 11, 2016. Doctor Schneider received his MD degree from Columbia University College of Physicians and Surgeons in 1963. He was a past member of the Board of Directors of the New York County Medical Society.